Henry is a native Texan and second-year graduate student in the Environmental Sciences PhD program at Baylor University. After receiving his B.S. in Biochemistry in 2016, he began his role as Graduate Researcher for The Sayes Group. His current projects include gathering information on prevalent nano-therapeutics and the compounds that are commonly used in these nano-therapeutics to treat lung cancer. He is elucidating the potential health risks associated with the recommended doses of each nano-therapeutic along its life-cycle, and analyzing the immune response (i.e. cytokine upregulation or downregulation) and their effect on the JAK-STAT pathway using in vitro model systems. In addition to his work with nano-pharmaceuticals and how they affect lung cells, Henry is working on projects that involve microscopy (transmission electron microscopy, scanning electron microscopy, fluorescence microscopy, bright field/dark-field microscopy), ELISA assays, and viability and growth assays, and liposome synthesis. Henry’s specialties include, but are not limited to, cell culture, aseptic technique, particle characterization techniques (e.g. zeta potential, dynamic light scattering), and gene characterization and protein expression in lung cells. The fields of science that interest him the most are nanotoxicology, pulmonary toxicology, cancer biology, and public health. He plans to continue his research in mechanistic toxicology and study toxicological phenomena at the cellular level, as well as report on the outcomes of unexpected exposures to the environment from used nanotherapeutics. 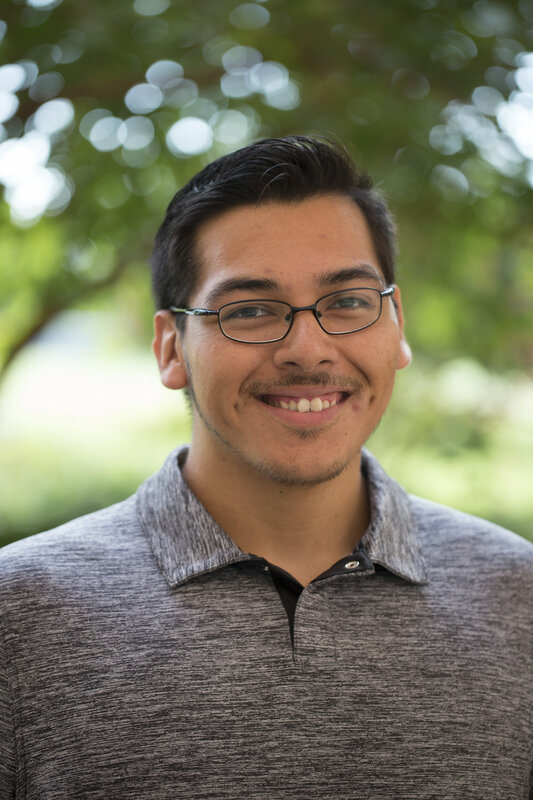 Henry is expected to graduate in 2020 and hopes to start a post-doc or fellowship to obtain more experience before his transition into the workforce. Henry hopes to work for the government through the CDC, EPA, or a private organization. Texas Society for Microscopy (TSM). "Synthesis, Characterization, and Preservation of Submicron-Sized Liposomes as Carriers for Drug Delivery". Denton, TX (February 2018). Inhaled particles XII. "Comparing the Baseline Morphology, Gene, and Protein Expressions of Two Immortalized and Two Cancer-Derived Lung Cell Lines”. Glasgow, Scotland (Sept 2017). Graduate Student Association (GSA) research showcase and picnic. “Toxicological Pathways induced after Nanoparticle Exposure”. Waco, TX (April 2017). Texas Society For Microscopy (TSM) Annual meeting, “The Role of Surface Chemistry on Intracellular Oxidant Generation after Exposure to Nanoparticle Mixtures”. Waco, TX (February 2017). Society for Risk Analysis (SRA) Annual Meeting, Understanding Nanomaterial Health Risk Group. “An Initial Screening Level Risk Assessment Report of Copper, Silver, & Gold Nanoparticle-Enabled Products”. San Diego, CA (December 2016). Lujan H, Criscitiello MF, Hering M, and Sayes CM*. (2018). “Refining In VitroToxicity Models: Comparing Baseline Characteristics of Lung Cell-Types”. Toxicological Sciences, kfz001. Lujan H and Sayes CM*.(2017). “Cytotoxicological Pathways Induced after Nanoparticle Exposure: Studies of the ‘Nano-Bio’ Interface”. Toxicology Research, 6:580-594. Sayes CM*and Lujan H. (2017). “Characterizing the Nano-Bio Interface Using Microscopic Techniques: Imaging the Cell System Is Just as Important as Imaging the Nanoparticle System”. Current Protocols in Chemical Biology, 9(3):213-231. Lujan H, Zechmann B, and Sayes CM*. (2018). Synthesis, Characterization, and Preservation of submicron-sized liposomes as carriers for drug delivery. Texas Journal of Microscopy, 49(1):9.